How Do You Make a Malcontent? You might wonder how a man like Lincoln Henderson became so particular in his lifetime. Or peculiar. Like all great malcontents, he never followed a very straightforward path. To begin with, he moved around as a child—a lot. Once every year or two. Strict Baptist parents and a penchant for trouble didn’t help either. And we’re not talking normal, run-of-the-mill boys will be boys trouble either. These places were isolated, I don’t think the government even remembered they were there. We would take the hand grenades out and throw them down into the river. We’d also tie strings to the pins, bury them a little bit and detonate them remotely that way. It’s really a wonder we survived at all. We had a good time playing with the grenades. We really thought that the explosions would be bigger though. Movies lie, I guess. His brother Mike had a life-long fondness for aviation. So naturally they broke into several hangars at remote Alaskan airports. “Mike and I would go out to isolated hangers, and he would start the planes up and one of them got loose and ran into the hanger and broke the propeller.” Luckily for his family and the world of spirits, Lincoln and Mike never managed to get a plane airborne. Again, Lincoln was about 10. Still, for all his trouble, Lincoln was a serious minded young man. He eventually studied pre-med and earned a scholarship to medical school, which contrarily enough he decided not to attend. It just wasn’t his passion and he figured there were enough mediocre doctors in the world. He decided to focus on chemistry instead. He was always intrigued by the nuances of flavor and the capacity of the human palette. 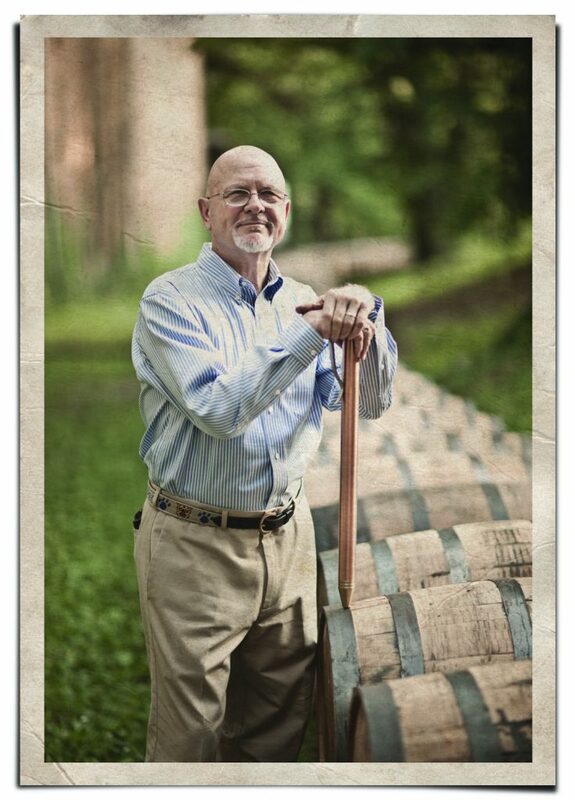 For forty years, he worked at Brown-Forman, serving as the Master Distiller for many of those years. This position gave him the perfect opportunity to explore his fascination with flavor. Most people would have been content to retire after four decades, but Lincoln, as always, was malcontent. 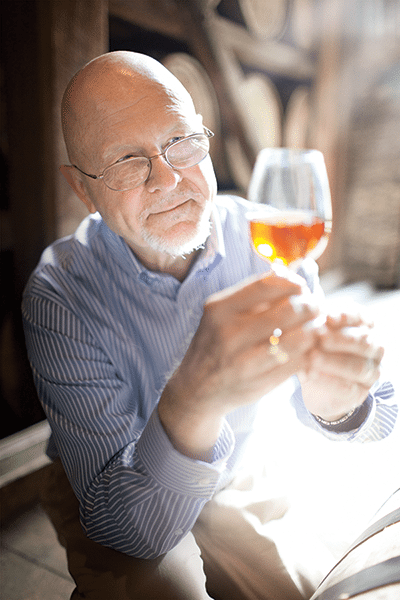 Even after earning a spot as an inaugural Kentucky Bourbon Hall of Fame member, he wasn’t done. Lincoln finally had the freedom and independence to explore finishing processes and small-batch bourbons that a major distillery, by its nature, simply couldn’t support. And he was alive to see one of his newest creations (our 2012 Cask Strength release) earn Best Spirit in the World by one of the whiskeys most respected writers, F. Paul Pacult’s Spirit Journal. ANGEL’S ENVY was the culmination of Lincoln’s life spent looking for something better. And if you believe the reviews, he finally found it.